Hicks Titley Partnership celebrates 20 years leading the way in the business…. 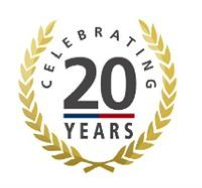 Hicks Titley Partnership are proud to be celebrating our 20th year of providing engineering consultancy services within the Mechanical and Electrical Services sector and would like to take this opportunity to thank our clients, both past and present, for their support over the years. During the past 20 years of providing engineering consultancy services, we have worked with many great companies and people, gaining a vast amount of experience in the industry - working on many memorable and prestigious projects in South Wales and across the UK. The industry has seen many changes and we have certainly moved with the times. Our engineering design philosophy is based on a strong commitment to sustainability, using passive means by considering building form and how it conditions the environment within. We can provide Mechanical & Electrical Engineering Services design using CSM and MEP REVIT modeling software to ensure collaborative working with the design and construction team. We look forward to continued success and more busy years ahead in the construction industry. HTP has been commended on the successful completion of this prestigious city centre development. Lighting & Small Power Designs.